The power of stories is well known. They can help you learn, be inspired and understand the world around you. The theme of this month’s Dolkorom Talk is ‘Love more, waste less’ and attendees will be able to hear the amazing stories of three people who are trying to learn, build communities and help Jeju become a better place. Of all the speakers of the day, none has had more to learn in their journey to than Chae Ji-ae. Most people living on Jeju will likely know about the island’s haenyeo. The strong, usually old freediving women who brave the cold seas around Jeju all year round to catch seafood. Chae Ji-ae is one of these haenyeo. However, while she is certainly brave and strong, she is not old. In fact, as someone in her 30’s she is one of the youngest haenyeo on the island. Originally a hair designer on the mainland, she found that she missed her home on Jeju too much and decided to come back at the age of 32. She has spent the three years since then soaking in the culture, trade, and skills of the haenyeo in order to share what she has learned with as many people as possible. This is exactly what she will do at the Dolkorom Talk Event in her speech titled, 'Haenyeo, coexisting with the sea'. 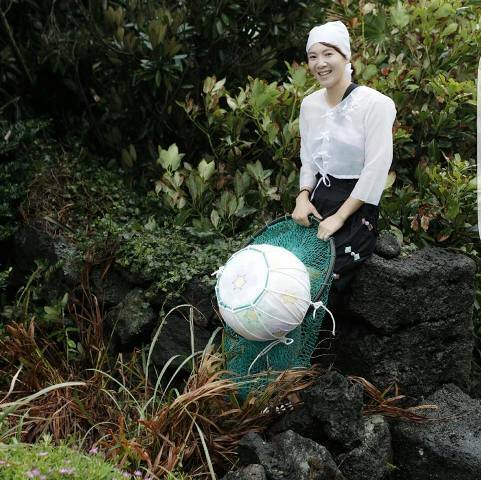 When not diving or learning from the haenyeo she spends her time working on another classically Jeju pursuit, tangerine farms. As with her work as a haenyeo, she came into this as a complete beginner and is just trying to learn as much as she can. Ji-hae thinks that the most important thing in life is working hard at your passions and trying to learn as much as possible. This is certainly something that is evident throughout the work she has taken on on Jeju. The second speaker, Eric Sweet, is a man on a mission to help us all waste less. However, instead of simply focusing on reducing waste, his philosophy is that by creating and adding more value to the things we use every day, a reduction in waste will follow automatically. The project he will be introducing at the event, titled 'Where does waste begin' is a story to bring awareness to the waste created by, of all things, love. While love is (if you’re lucky) permanent, many of the gifts people buy out of love are not. By upcycling thrown away teddy bears, Eric hopes to bring awareness to just how much excess waste is thrown away. 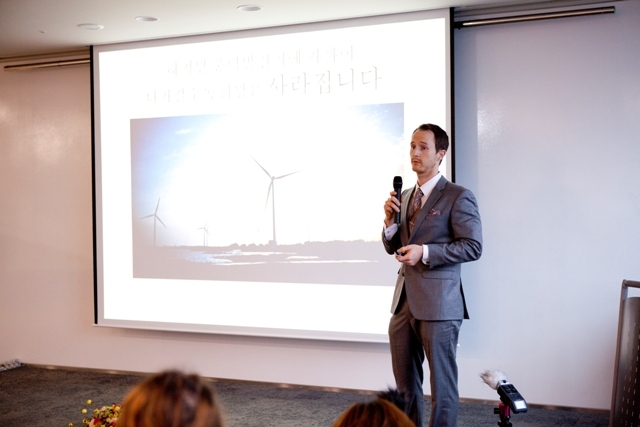 As well as his mission to reduce waste, Eric is a keen filmmaker and his use of drones in his films bring to life not only his ideas about wasting less but also the beautiful nature of Jeju. The final speaker is Choen Ye-ji, an enthusiastic community builder. She has spent the last two and a half years working at co-working spaces in Korea where she helps build communities and connect people from all over the world. She gained the experience needed to do this job through her experience using community spaces like this in countries throughout Asia and also the US. Her talk is titled, 'Leaving city life without becoming a farmer' and she will discuss her experience working at co-working spaces, as well as talk about how to build communities and connect people. In addition to the three speakers, there will be a whole host of other performances to be seen, dances to be danced and food to be eaten at this event. Music will be provided by Surisuri mahasuri, a world music act who moved to Jeju after falling in love with the island in 2010. They are made up of members from Korea, Egypt, and Morocco. While they consider themselves to be a world music group, their diverse background and willingness to try all kinds of instruments mean their music has no real nationality. What they do try to do, however, is pass on the wisdom found in this traditional music as well as their dreams of visiting countries around the world. They hope that through their music they will be able to transport you to the places you want to go to. The Dolkorom Talk event will be held from 6-9pm on October 28 on the third floor of the Jeju Venture Maru building, Creative Economy and Innovation Center J-Space. One environmentalist and filmmaker’s passion to help people get closer to real food through hydroponics.